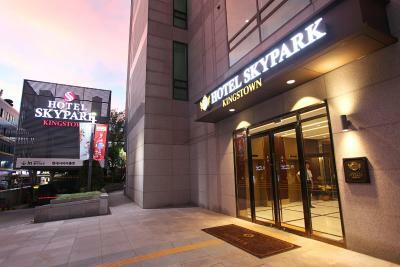 Lock in a great price for Hotel Skypark Kingstown Dongdaemun - rated 8.6 by recent guests. 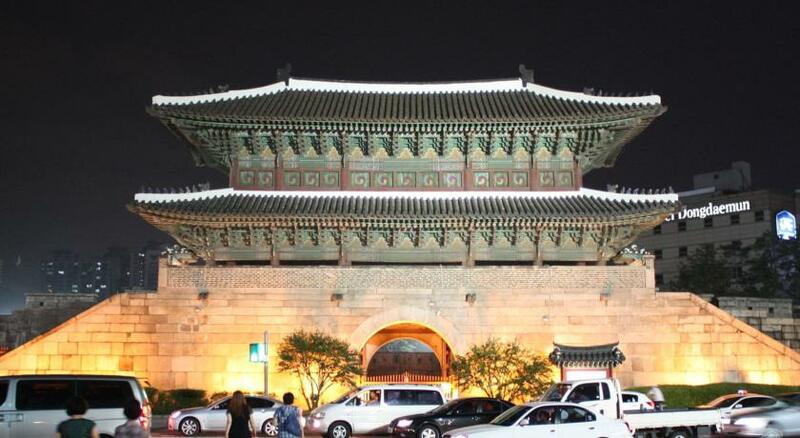 Great Location for shopping and Korean cuisine experience!!! 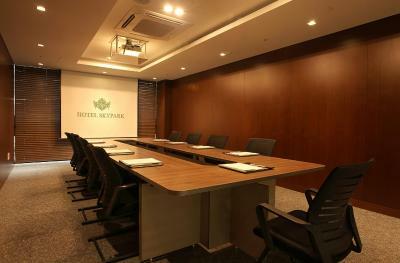 The location is near to the Dongdaemun subway station and a lot of duty free malls such as Doota mall, Hyundai City Outlets, APM mall, Lotte Fittin, and Migliore. 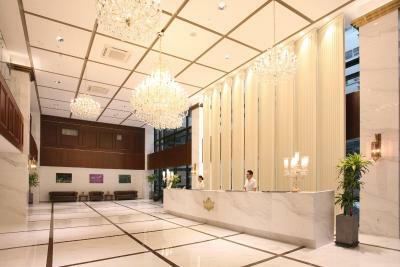 The hotel services are very convenient for travellers. 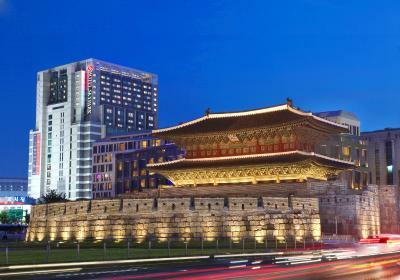 At the concierge there are free shuttle buses to go around Seoul, call a taxi for you, and they can even order chicken delivery for you if you asked them. 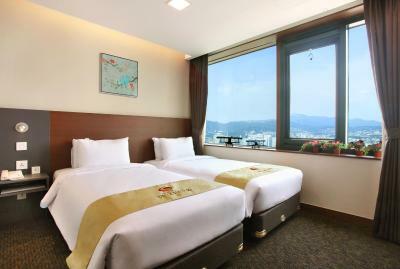 The hotel room is very clean with daily housekeeping making it stay clean every time you come back at night from going around Seoul. 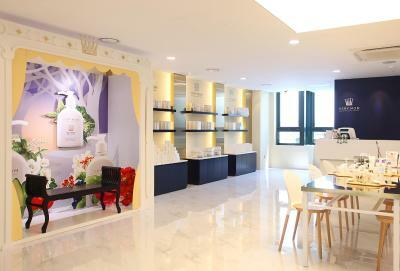 There are convenience store, as well as cosmetic brands shops at the hotel lobby. 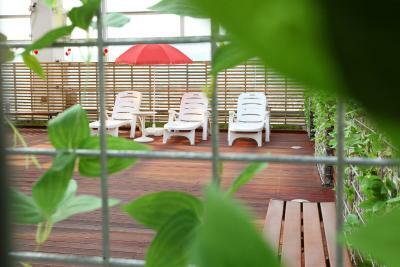 The facilities are clean and usable for guests. 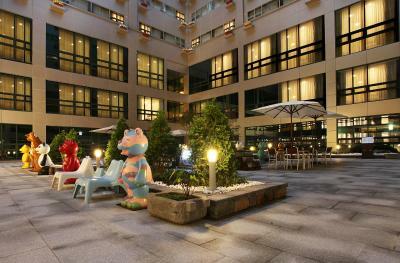 The location of the hotel is very convenient. 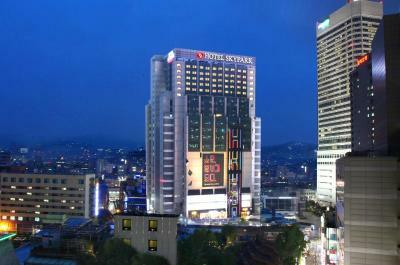 Beside the hotel is the Hyundai outlet and within a short distance is the Doota Mall and Doota Duty Free. 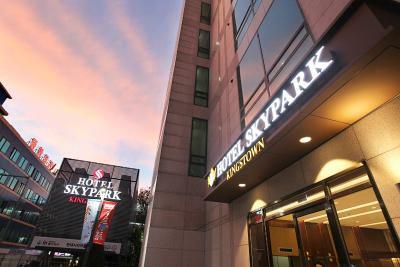 There is also a shuttle bus from the hotel to Skypark Myeongdong which is so convenient for the hotel guest to travel between Dongdaemun and Myeongdong. 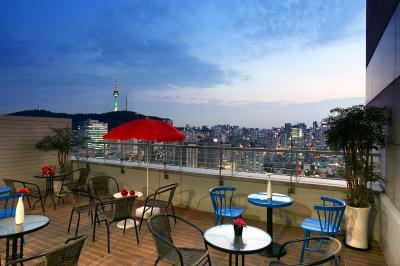 Great location - just a few mins from the biggest market dongdaemun. Loads of shops and cafes around. 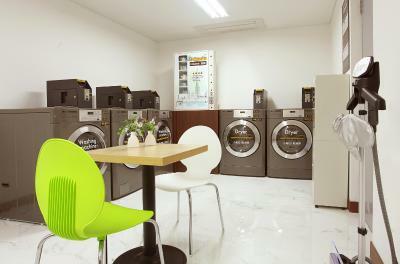 Clean and tidy place. V pleasant. 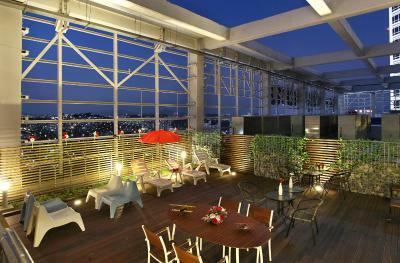 Place was very convenient. 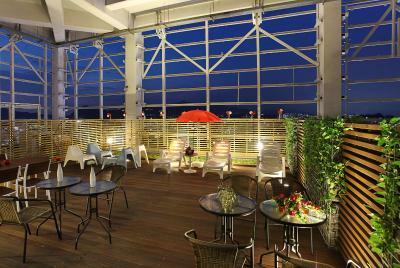 Many restaurants around the hotel opens till midnight!! 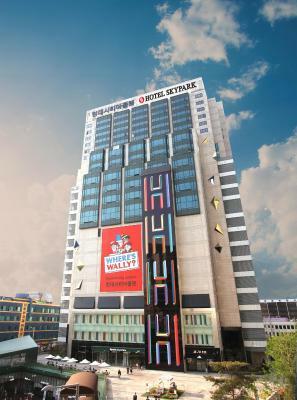 Very strategic hotel close to many places big malls , interesting sites, and 2 train station. Friendly staff. We had our luggage in the concierge for 3days with no extra fee and the staff so nice to help us with taxi for our transfer. 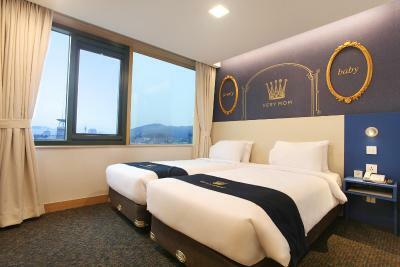 The bed very comfy too love it and our room has beautiful mountain plus city view. 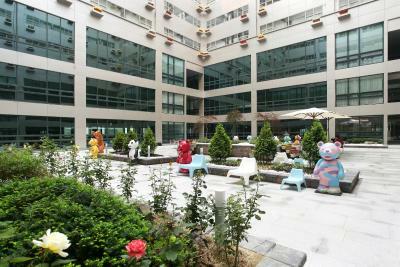 Location is right next to shopping areas, short walk to train station. 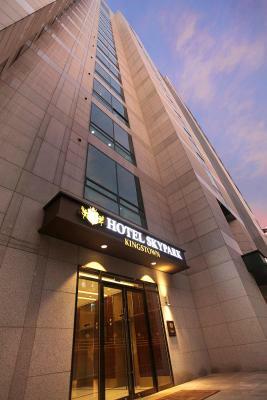 Hotel Skypark Kingstown Dongdaemun enjoys a prime location 400 yards from Dongdaemun Subway Station (Line 1 and 4) and just a few steps away from Dongdaemun shopping district. 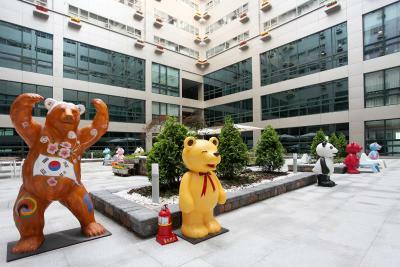 The scenic Cheongyecheon stream is right outside the hotel, and the hotel is directly connected to Hyundai City Outlet Dongdaemun. 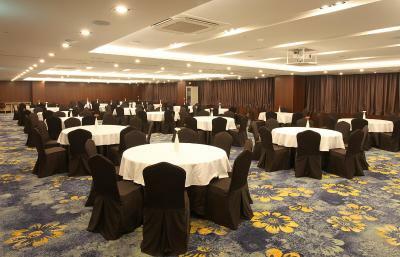 Each of the modern rooms here are finished with carpeted flooring and wooden furnishings. 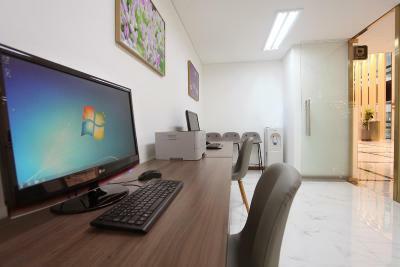 There is a spacious work desk, a wall-mounted TV, a small fridge and an electric kettle. 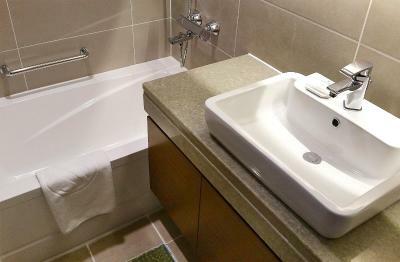 En suite bathroom is equipped with a shower, while free toiletries, bathrobes and a hairdryer are provided. 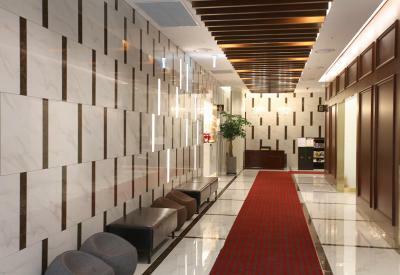 The 24-hour front desk here offers concierge, currency exchange, luggage storage services and more. 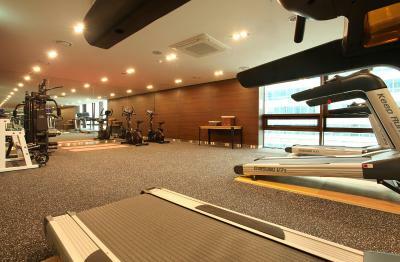 Guests can get an exercise at the in-house fitness centre. 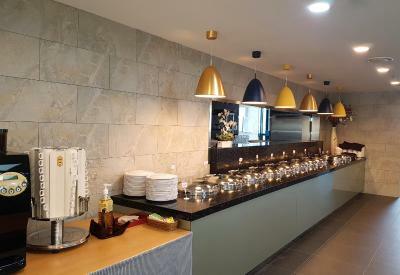 Guests can enjoy breakfast buffet every day at a surcharge. 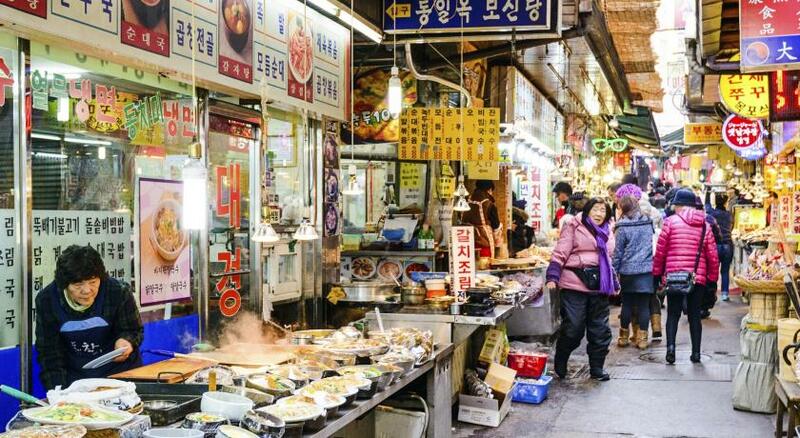 From the hotel, the historical Insadong Culture Street is 2 subway stations west on Line 1 and Myeongdong shopping area is 2 subway stations west on Line 4. 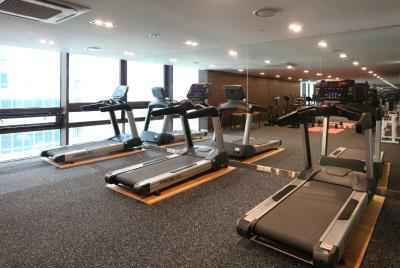 Incheon International Airport is an 80-minute drive away. 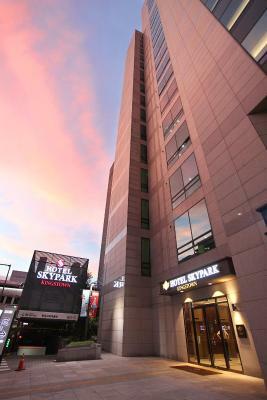 Hotel Skypark Kingstown Dongdaemun has been welcoming Booking.com guests since 13 May 2016. 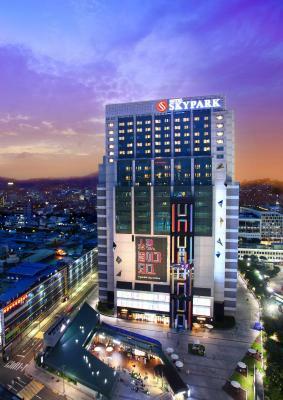 When would you like to stay at Hotel Skypark Kingstown Dongdaemun? 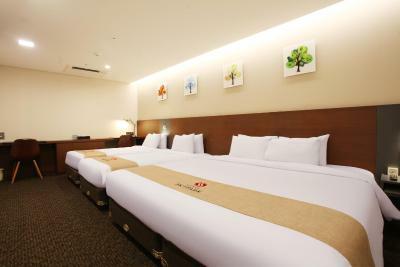 This double room has air conditioning, private entrance and flat-screen TV. 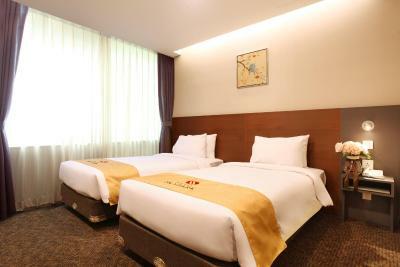 This twin room has a electric kettle, private entrance and air conditioning. 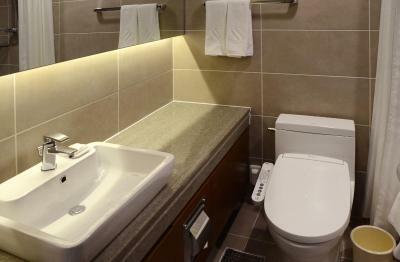 This triple room features a electric kettle, flat-screen TV and private entrance. 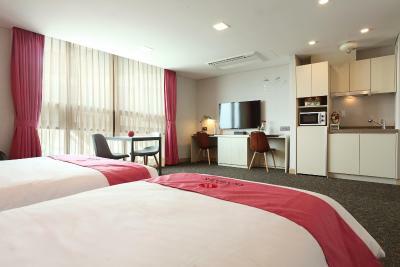 This double room features air conditioning, sofa and bathrobe. 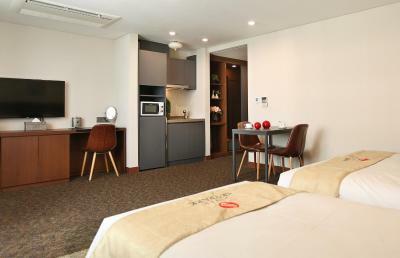 This twin room features a cable TV, bathrobe and private entrance. 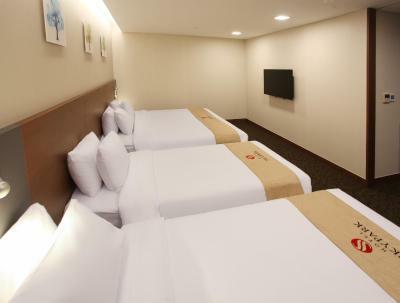 This twin room has a private entrance, flat-screen TV and microwave. 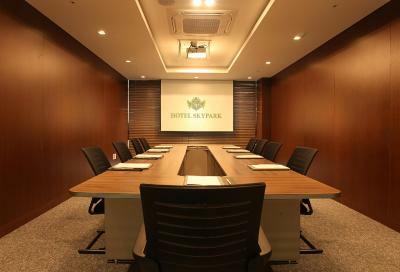 Hotel SKYPARK is Korean business hotel chain group which is making efforts to be the hotel offering guests the maximum satisfaction at the optimum place. 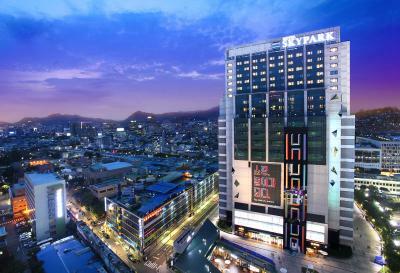 House rules Hotel Skypark Kingstown Dongdaemun takes special requests - add in the next step! 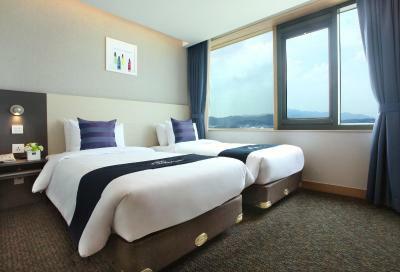 Hotel Skypark Kingstown Dongdaemun accepts these cards and reserves the right to temporarily hold an amount prior to arrival. 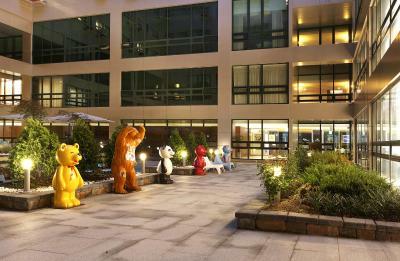 There is nothing to like about this hotel. It’s is simply awful. Helpful staff. 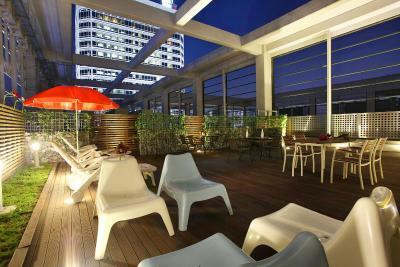 Good location . Room was pretty small. 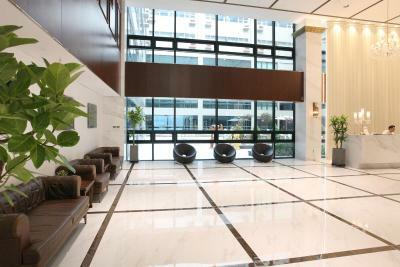 Front desk services is neither no or nothing. Concierge services same or even worst . Location was great if doing night shopping. 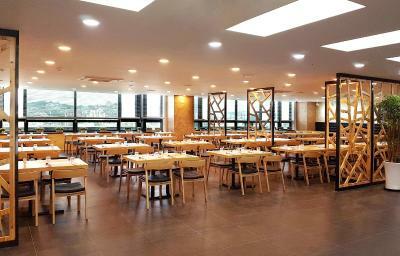 Lots of local Restaurants. 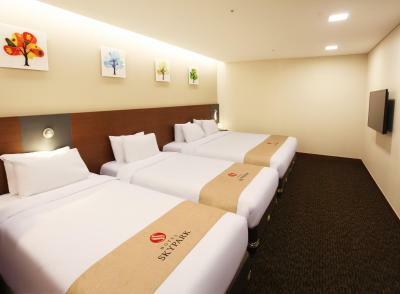 The quality of bed linens and the lateness of the room daily cleanup..after 3pm.